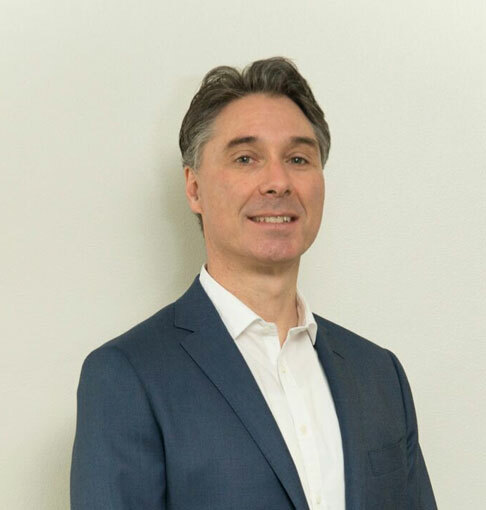 Dr David Ende is a Urologist with current appointments at St Vincent’s General Hospital, St Vincent’s Private Hospital and Clinic, Norwest Private Hospital, Blacktown Hospital (South Western Area Health) and Westmead Private Hospital. Dr Ende completed his Urological training in 2000. He also completed a PhD in Cancer Medicine at Sydney University in 1996. His research focused on magnetic reasonance spectroscopy in evaluating the biochemical changes in colonic polyps and cancers. His interests include benign and malignant prostate disease, voiding dysfunction in men and women, stone disease/laser surgery. Dr Ende also has experience with bladder cancers and neo-bladder formation. Dr Ende performs Robotic and laparoscopic minimally invasive surgery for prostate and kidney cancers. Dr Ende also participates in medical education as an Adjunct Senior Lecturer at the University of Notre Dame in Sydney, as well as Urology registrar training and lectures for nursing staff. Other interests include ongoing research into prostate cancer. He has also been involved in both the state and federal committees of the Urology Society Of Australia and New Zealand. Ende D, Lean C, Mackinnon W, Bokey E.L, Chapuis P, Mountford C.E. : Colorectal tissues assessed ex vivo by Proton Magnetic Resonance Spectroscopy (1H MRS). Annual Scientific Conference of the Royal Australasian College of Surgeons and Australian & New Zealand College of Anaesthetists, Adelaide, May 1993. Ende D, Lean C, Mackinnon W, Bokey E.L, Chapuis P, Newland R, Mountford C.E. : Assessment of Colorectal Tissues and Investigation of the Adenoma-Carcinoma Sequence Using Proton Magnetic Resonance Spectroscopy (1H MRS). (Best Abstract from Australia). Tripartite Meeting of Colorectal Surgery, Sydney, October 1993. Ende D, Lean C, Mackinnon W, Bokey EL, Chapuis P, Newland R, Russell P, Mountford C.E: Human Colorectal Adenoma-Carcinoma Sequence Documented by 1H MRS (ex vivo). Proceedings of the Twelfth Annual Scientific Meeting of the Society of Magnetic Resonance in Medicine. Vol. 2, P. 1033, New York, August 1993. Lean C.L., Newland R.C., Ende D.A., Bokey E.L., Smith I.C.P., Mountford C.E. : Assessment of Human Colorectal Biopsies by 1H MRS: Correlation with Histo-Pathology. Magnetic Resonance in Medicine, 30:525-533, 1993. Ende D, Rutter A, Russell P, Mountford C.E. : Chemical Shift Imaging of Human Colorectal Tissue. Third Scientific Meeting of the Society of Magnetic Resonance, Nice, August 1995. Ende D, Robinson G, Mouton J: Metastasis induced Perforated Appendicitis: An Acute Abdomen of Rare Aetiology, Australian and New Zealand Journal of Surgery, 65:62, 1995. Ende D, Rutter A, Russell P, Mountford C.E. : Chemical Shift Imaging of Colorectal Tissues ex vivo. NMR in Biomedicine, 9:179-183, 1996. Millard R, Ende D: Surgical Options for Female Stress Urinary Incontinence. Australian Continence Journal, 5(4):94-98, 1999. Ende D: Sterilization for Men, Is vasectomy for Everyone? Medicine Today, Dec. 2005, Vol. 6, No. 12. Ende D, Stricker P, et al: Comparison of Magnetic Resonance Imaging and Pathological Assessment of Prostate Cancer. Urological Society of Australasia Annual Meeting, Adelaide, 2007. Ende D: Utility of PSA in Prostate Cancer, Newsletter of the South East Sydney Division of General Practitioners, Feb. 2007. A multicentre, double-blind, randomized, placebo-controlled dose-response study to evaluate the safety and efficacy of a single treatment of Botox (Botulinum Toxin Type A) purified Neurotoxin Complex injected into the prostate for the treatment of lower urinary tract symptoms in patients due to benign prostatic hyperplasia. The use of MRI in Staging Local Extent of Prostate Cancer. Hesta Award – The Urine Chart … Project assessing colour of urine post-TURP to aid in patient management. L9 Nurses, St. Vincent’s Private Hospital. Dr Ende has also presented on multiple urological topics including stone disease, bladder cancer, prostate cancer and men’s health to various forums in both hospital and the public arena.